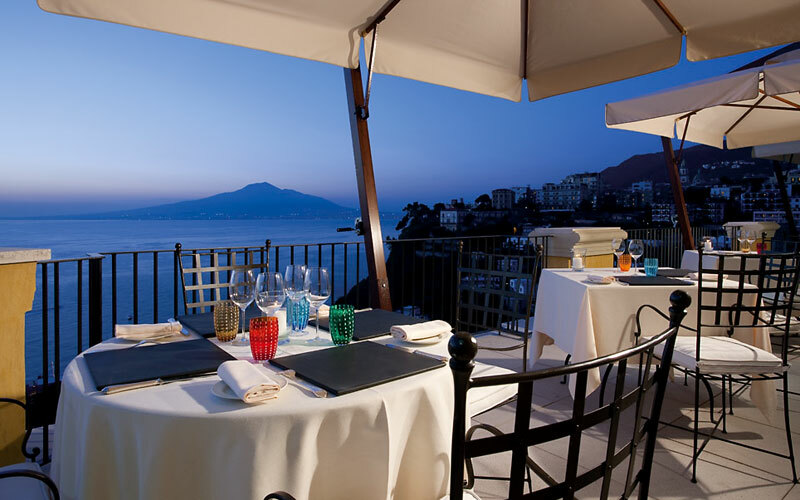 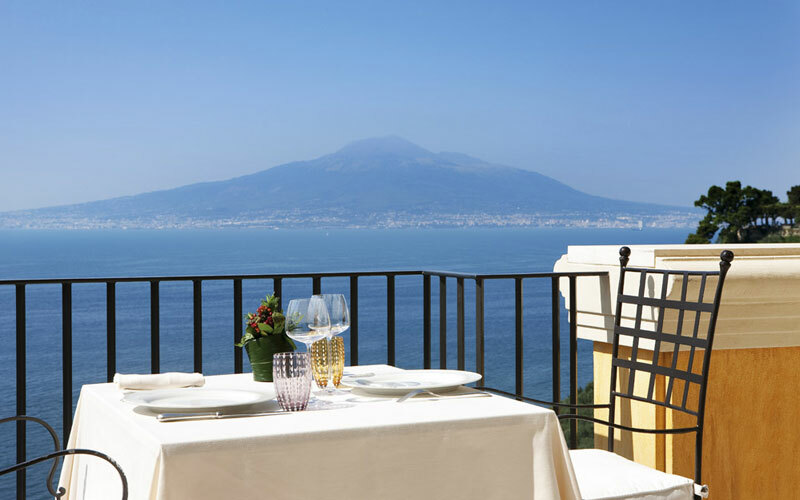 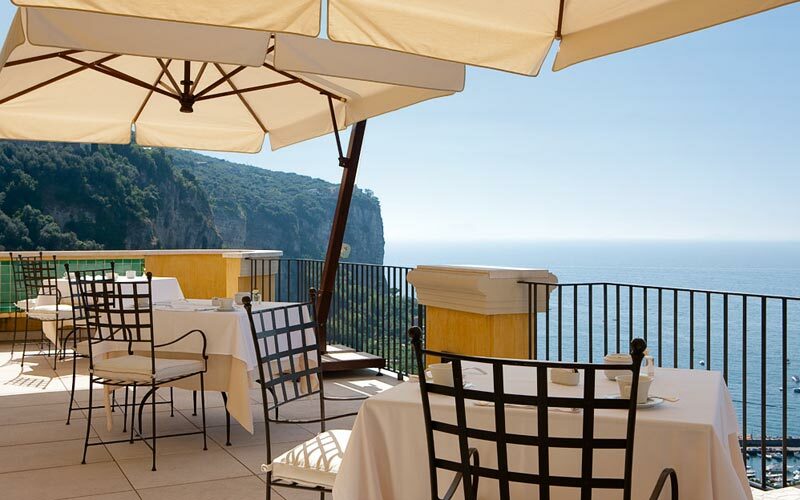 The Bay of Naples, Mount Vesuvius and the sea: the view from Seiano's Grand Hotel Angiolieri, is just one of the reasons why, once you've found this fantastic new 5 star between Sorrento and the Amalfi Coast, you'll be so unwilling to leave. 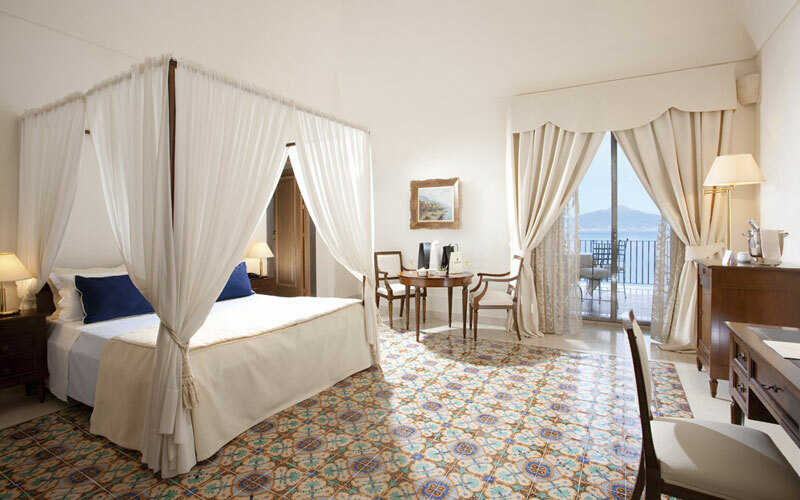 A centuries-old coastal residence, only recently restored and transformed into a luxurious 5 star property, Grand Hotel Angiolieri conserves all the features of Italy's most palatial seaside homes - with the addition of the state-of-the-art technology and the latest in contemporary comforts. 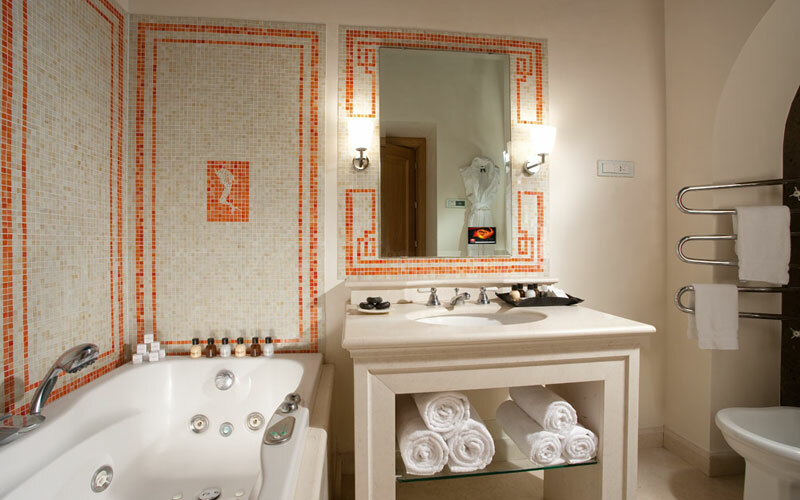 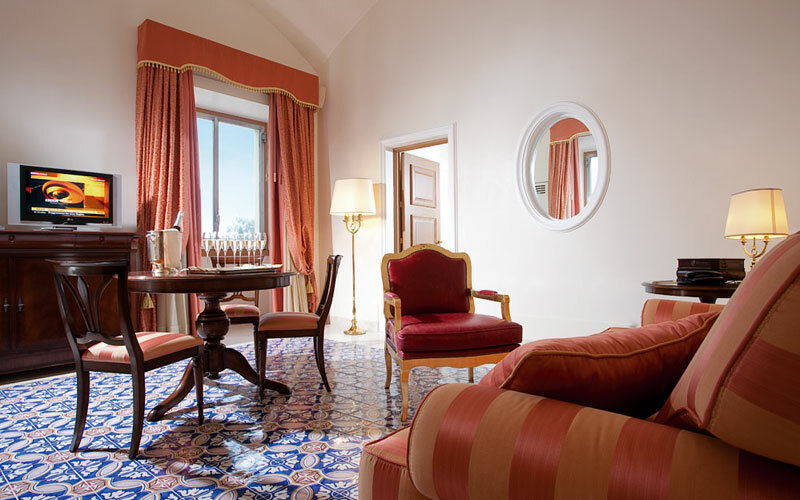 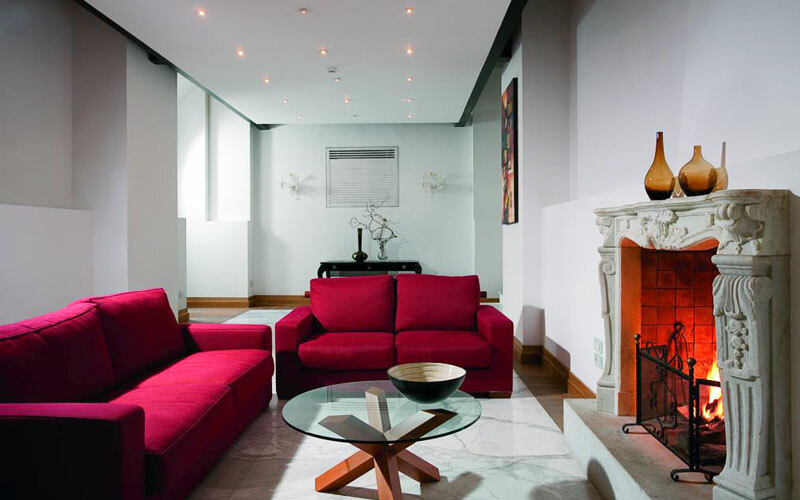 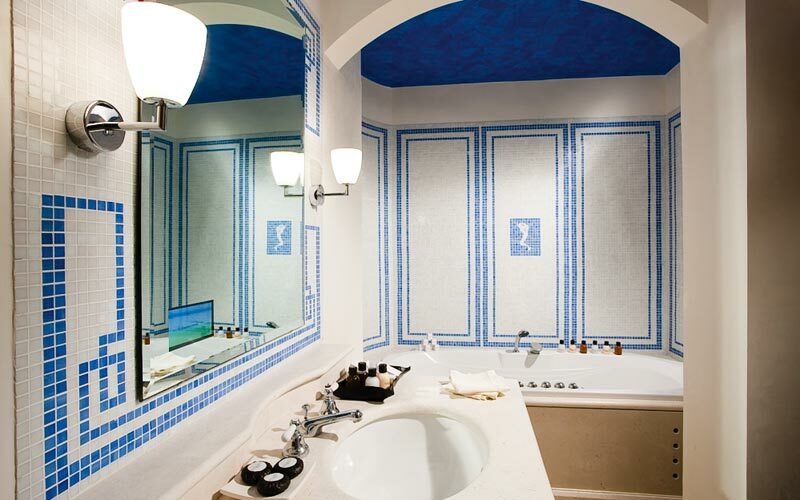 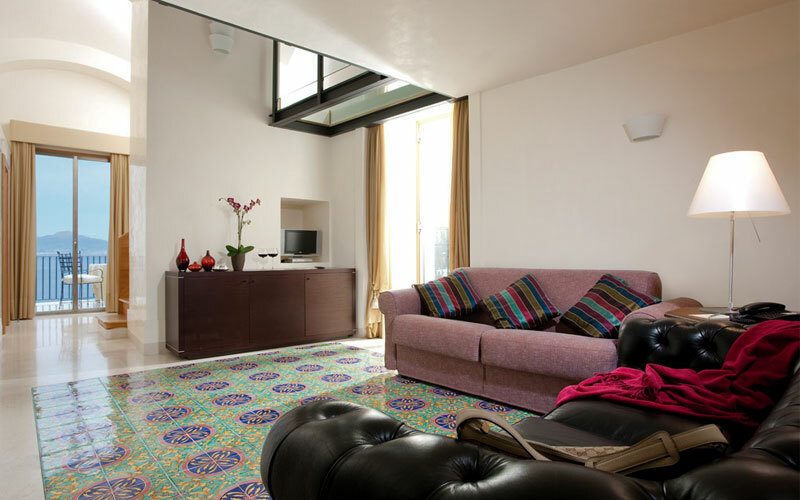 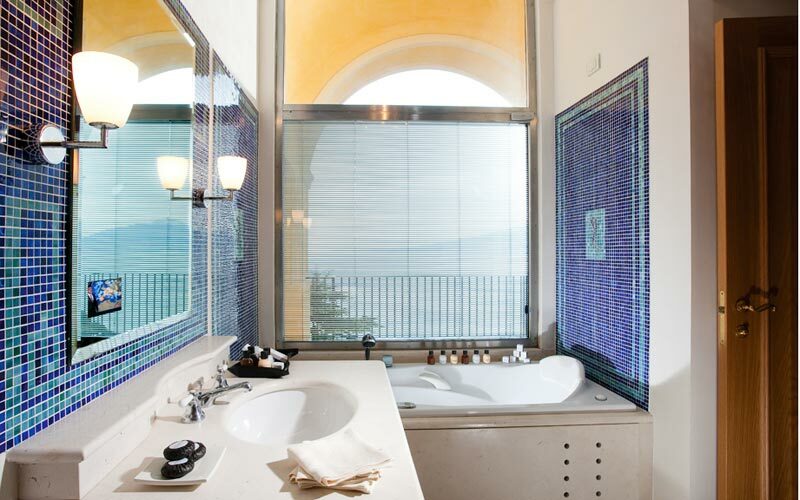 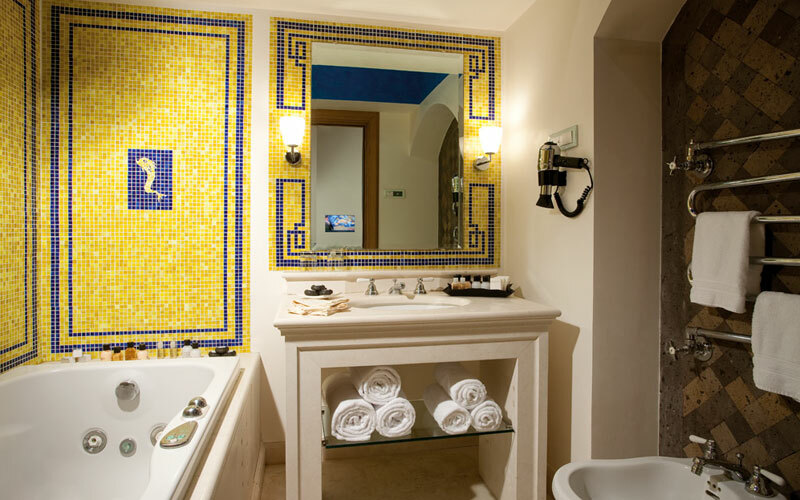 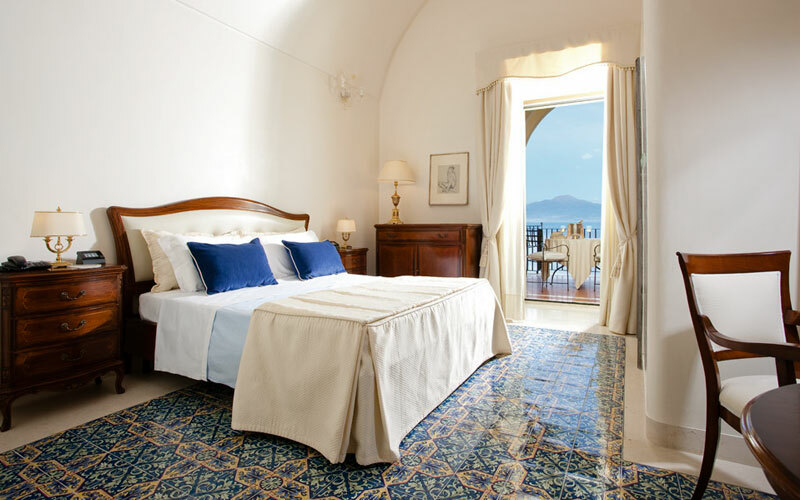 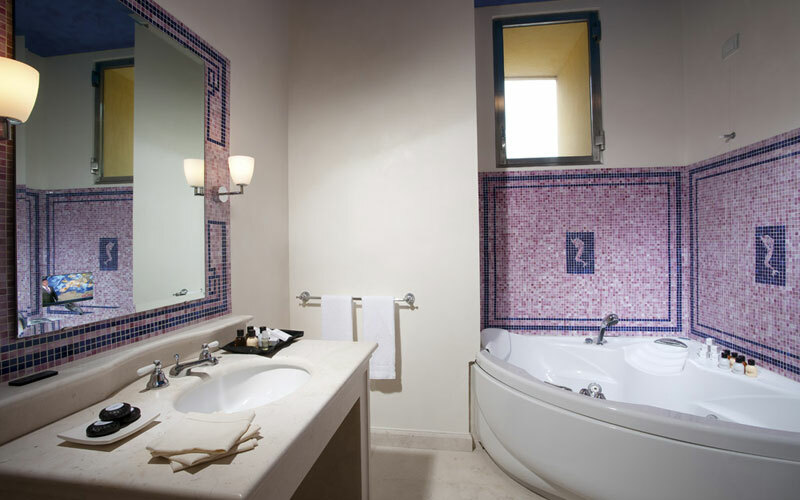 Hand-painted majolica floor tiles, vaulted tufa ceilings, Murano glass chandeliers, LCD Sky television, Wi-Fi and luxurious Jacuzzi baths: Grand Hotel Angiolieri's sumptuous suites have the lot! 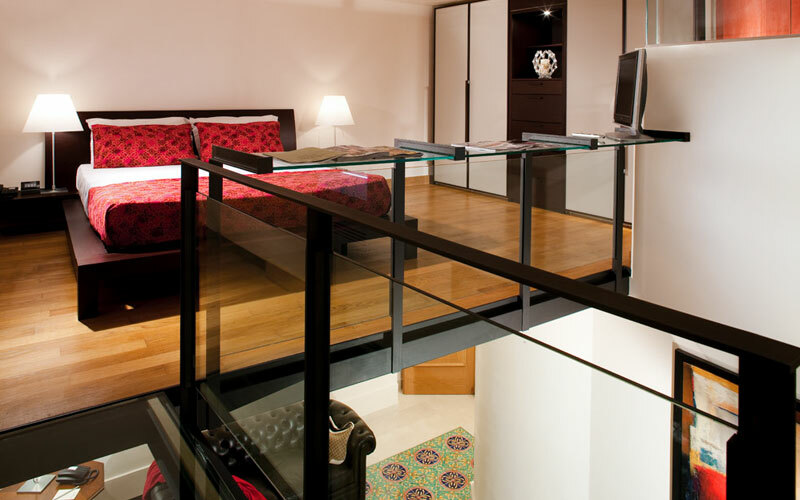 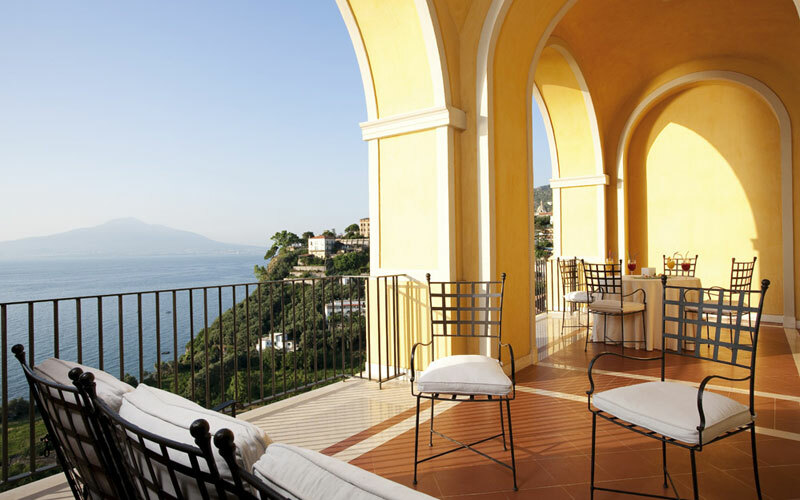 Almost all the hotel's 36 rooms open out on to large private terraces or balconies overlooking the sea. 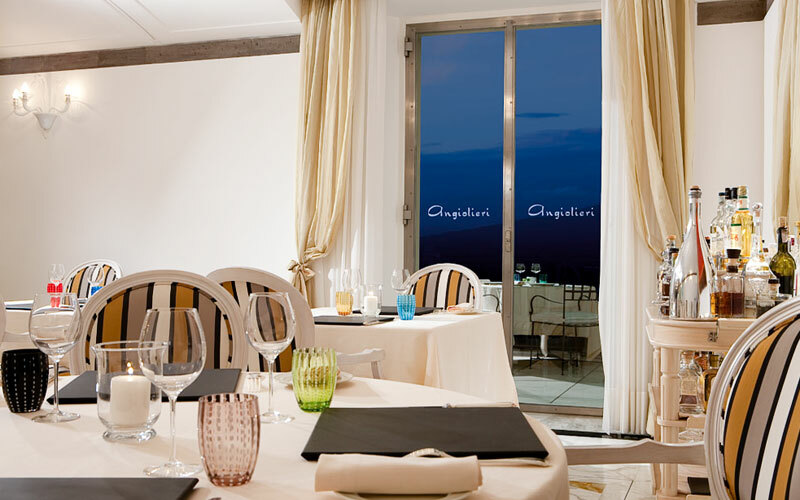 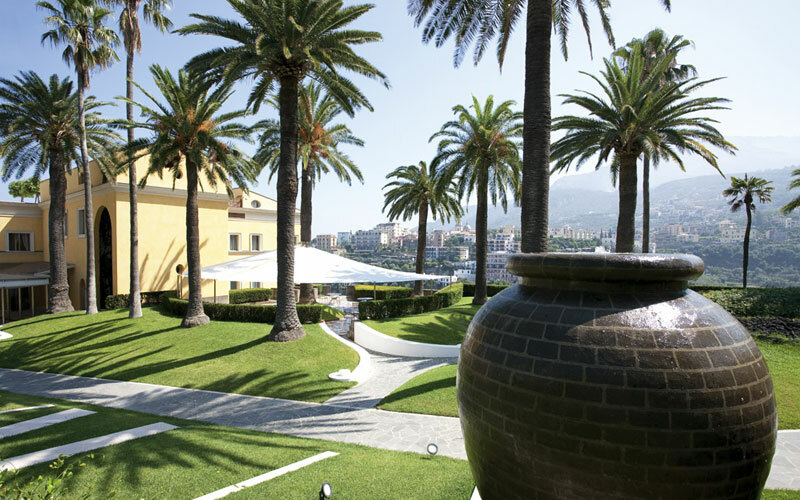 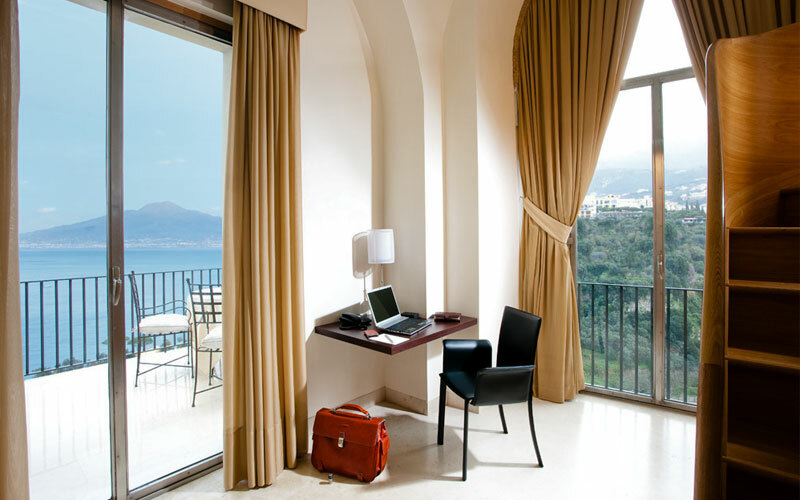 Tantalizing glimpses of the Bay of Naples can be seen from the hotel's swimming pool too. 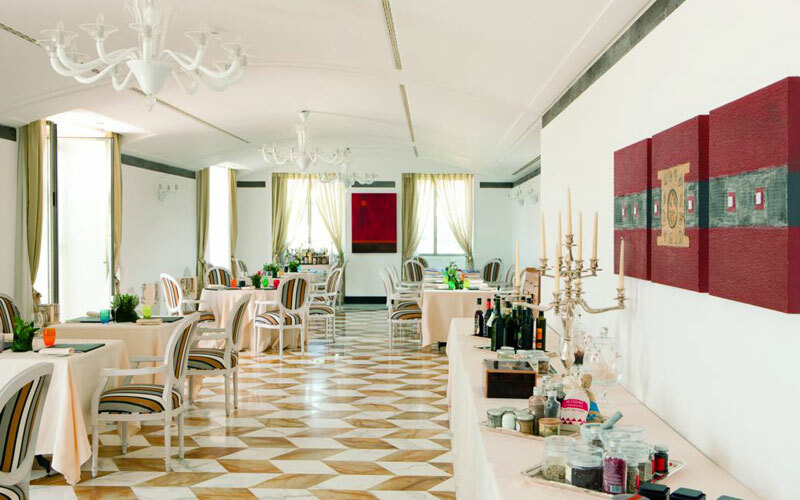 In the hotel's panoramic "Accanto" restaurant, chef Vincenzo Guarino prepares exquisite contemporary Mediterranean cuisine inspired by the region's great gastronomic tradition. 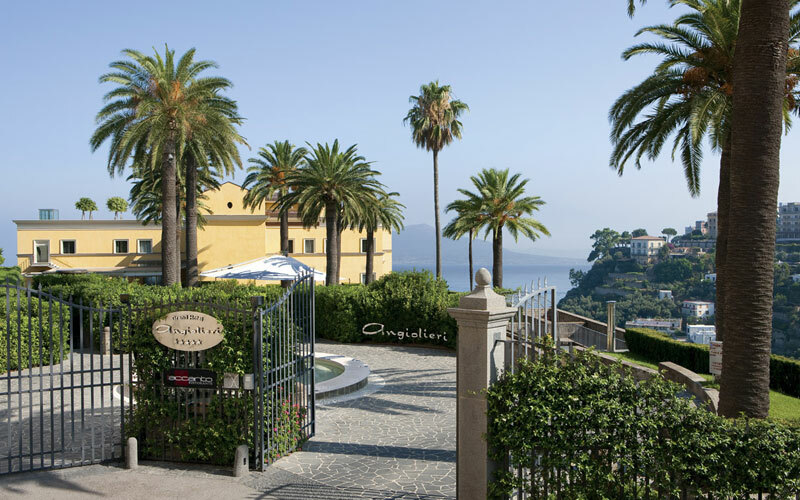 Sea, sun, and a cool breeze: spend your day on the beach, in the garden, or by the pool during your stay at Grand Hotel Angiolieri. 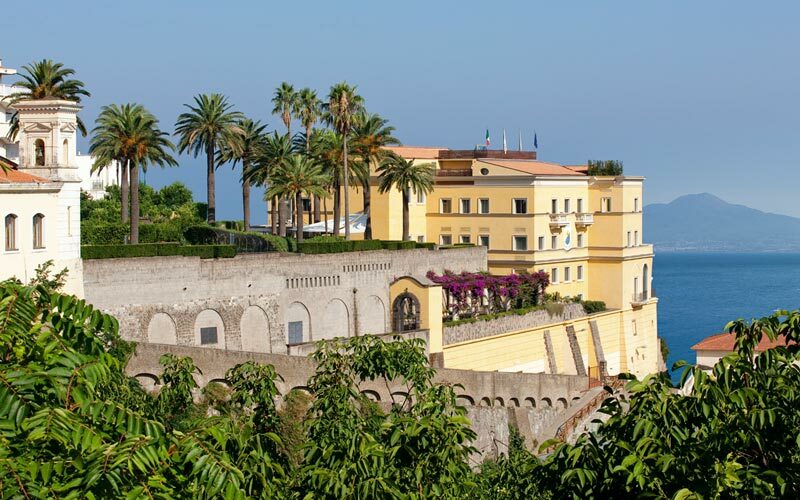 The hotel's free shuttle will take you to any of the nearby beaches on the Sorrento Peninsula, or you can simply settle in by the pool to savor the view over the Mediterranean or take a walk through the quiet surrounding gardens and citrus grove. 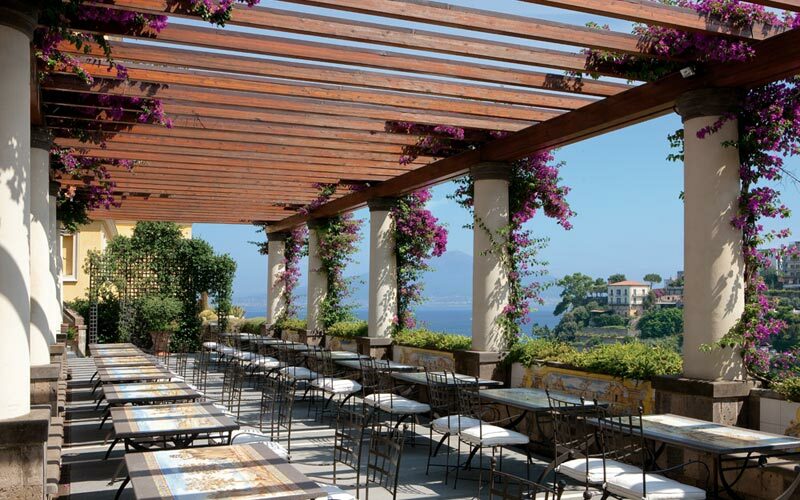 Looking for an exclusive location close to both Sorrento and the Amalfi Coast in which to host that fairytale wedding reception, all-important business meeting or high profile corporate event? 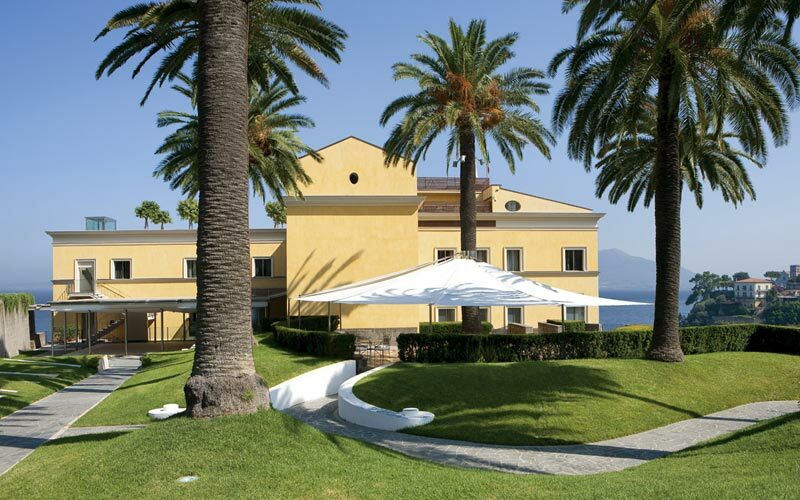 You and your guests will love Grand Hotel Angiolieri, which has a beautiful banqueting hall, gorgeous outdoor spaces and a number of well-appointed meeting rooms. 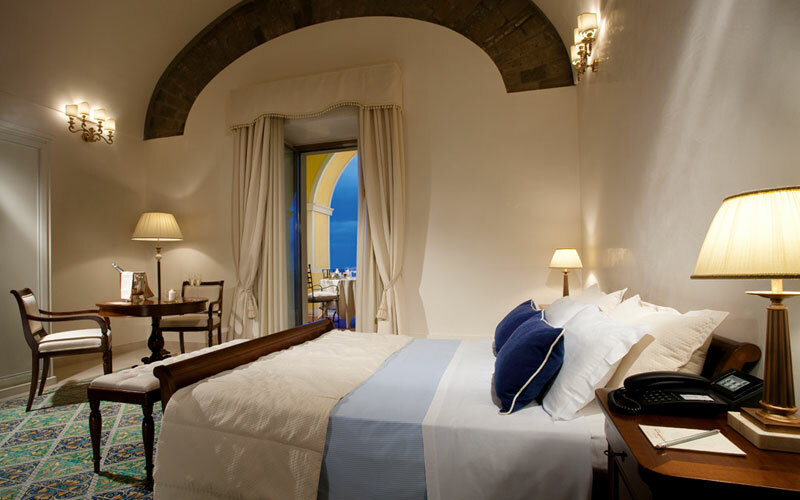 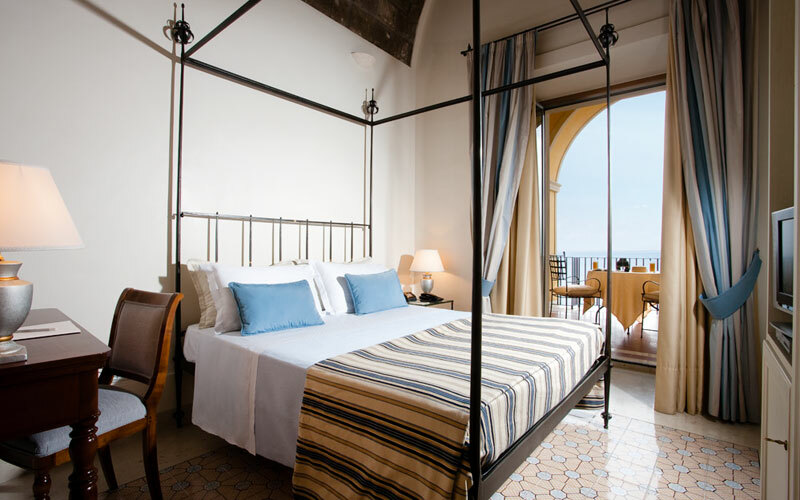 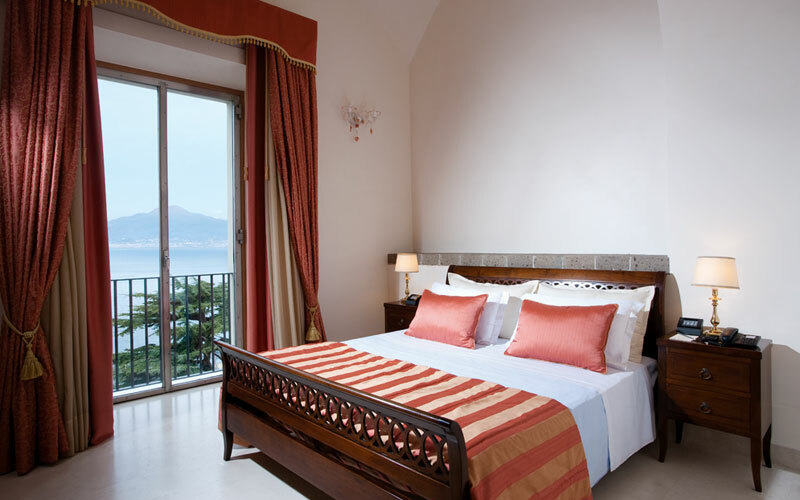 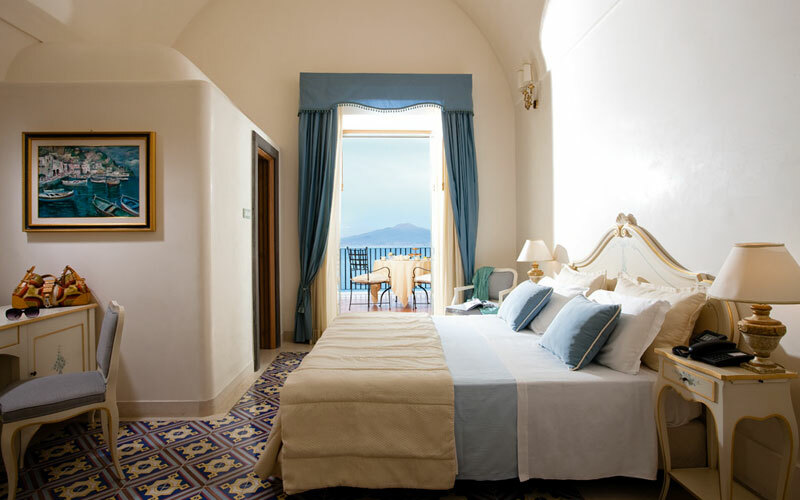 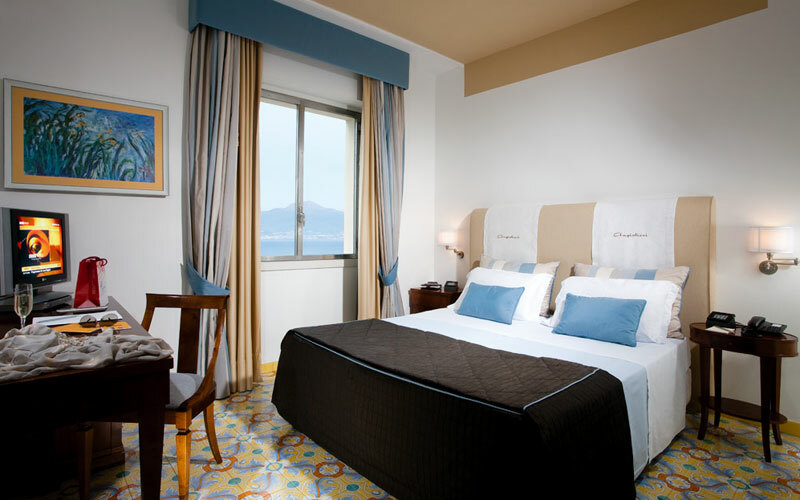 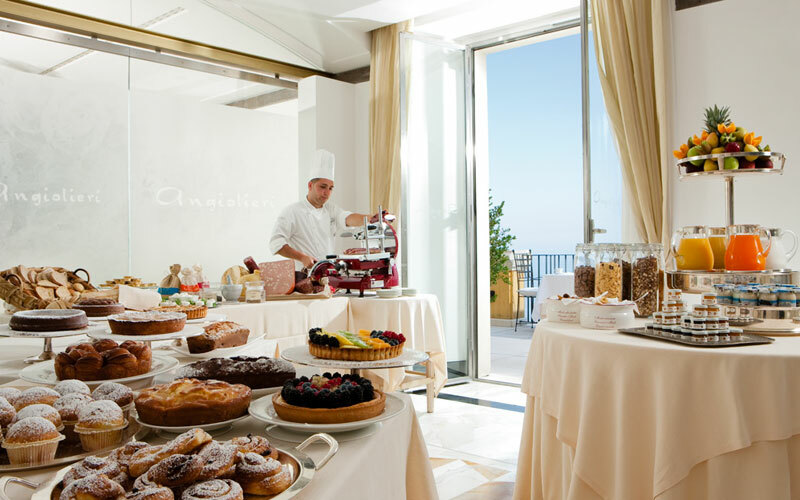 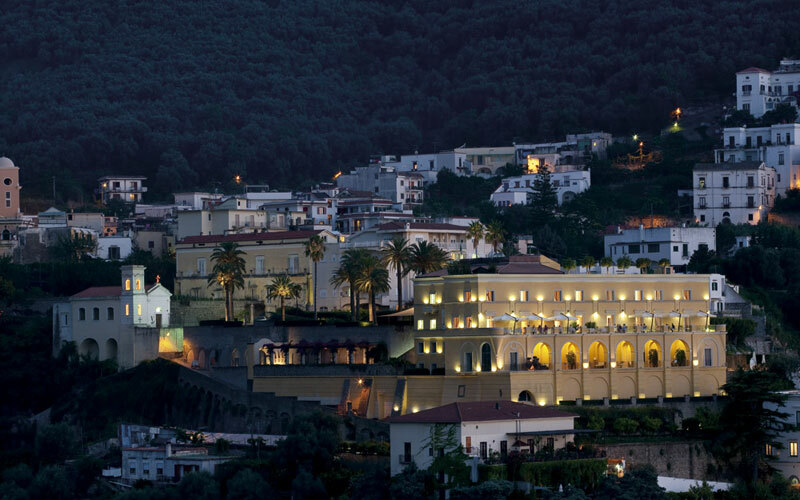 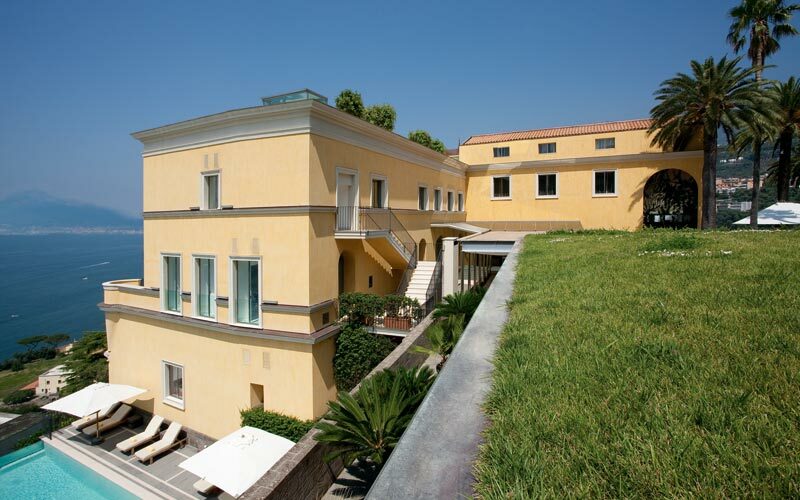 Grand Hotel Angiolieri is situated in Seiano, a small fraction of Vico Equense, on the Sorrentine Coast overlooking the Bay of Naples and just a short distance away from Sorrento. 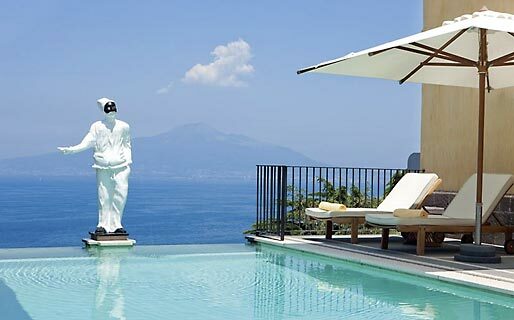 From here, a wealth of places of great natural beauty and undisputed cultural and historical importance lie within easy reach: places such as Pompei, Capri, Positano, Amalfi and Ravello.